Hi Kay! I love funny and I love your titles. This sentence alone makes me want to read all your books right now! You are clearly a multitalented writer and I can’t wait for your books to come out into the world! Thanks for stopping by, Miranda. I may get around to those flea-bitten werewolves someday, but in the meantime I’m dealing with a goblin who smokes cigars and reads Mickey Spillane novels he finds in the dumpster where he’s been living. Hi, AE! I don’t know if I would have stayed married for 33 years if my late husband hadn’t made me laugh every day. I might even be tempted again if I found someone who shared my weird sense of humor. I do so love your titles. I tend to try and start out with what I think is a funny premise – and then I go all angsty. Can’t seem to help it. I so admire people who can write funny. I’m jealous! I do think you should write the vampire who’s allergic to hemoglobin. I’d buy it!! I keep seeing people who have begun using Scrivener – I have not taken that on yet. Guess I’ll stay with Word and Excel! Nan, I suppose my characters all have a bit of hidden angst, but they resolve it with humor. Scrivener definitely has a learning curve, but it’s been worth it for me. And we seem to share a lot of book love. When I was a kid, I fantasized about meeting Dr. Doolittle and all his animals, and I adored Ozma. I didn’t discover the Edward Eager books until my son got to be the right age for them, and then we both devoured them. I love the tiny glimpses of your jinn and goblin world, and can’t wait to read more! I think there’s a real audience for funny paranormal, whether or not the publishers think so right now. Talia, last month I took Gwen Hernandez’ class on Compiling with Scrivener. Very encouraging in terms of possible self-publishing plans. I’m going to RWA to check out the indie workshops. Readers do seem more interested in my stories than agents and editors do. I’m like you Kay. I don’t like to plot and I write very linear as well. And I love a chuckle when I read. Thanks for sharing your process! Wishing you incredible success with getting those fantastic stories into the world! I love the way your humor shines through here on your blog. 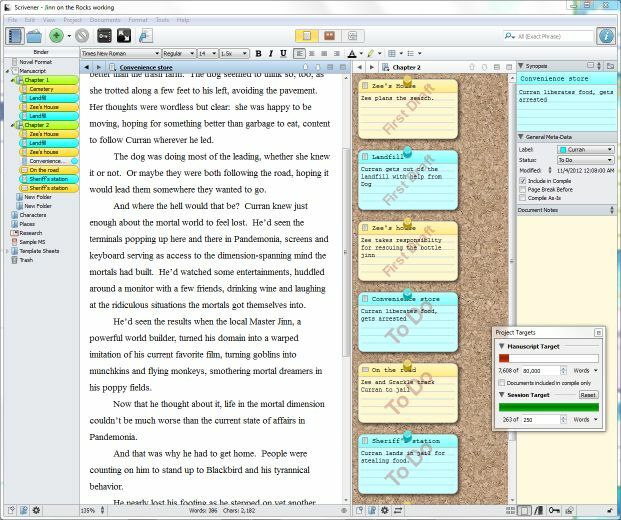 I just got scrivener and can’t wait to get started with it. When you say you write several chapters and throw them out, I really feel for you. Sometimes being a pantser means some false starts, doesn’t it? I love puns and gin, too, so I’ll start thinking about titles for you now! Best of luck with this series, it’s so much fun! Hi, Jackie! I don’t have as much trouble now figuring out where a story really starts–I think I’ve learned a lot from judging contests. Kay, in all the years I’ve known you, sat at your VIP table on Awards Night and cheered you on, I still have not read one word of any of your stories. This must be rectified shortly! Hope to see you Sat! I will fix that, Sarah, I will send you something. And I’ll see you at the meeting Saturday. YAY, Kay! Good blog post. And I’ve love your titles and your sense of humor. I love your fun characters and their adventures. Fun stories. We’ll just have to keep each other on track, Jo Anne! I don’t know what is wrong with the publishing industry, but I think we as writers do know more about what readers want. Funny is so hard, but valuable and I hope that you do what you must to get your stories out to readers, Kay. And your success with Scrivner gives me hope, because that icon is still taunting me to start a project on it after having it for two months now. I do hear the class is key…thanks for a great post Kay! Thanks for stopping by, Piper. Scrivener is definitely worth its learning curve. I don’t know when Gwen’s next class is, but her book, Scrivener for Dummies, is very helpful. So is an ebook by David Hewson called Writing a Novel With Scrivener. I adore your titles, Kay and can’t wait to read your books! I can already tell how funny they must be, and I do adore “funny.” BTW, I LOVE “my vampires would be allergic to hemoglobin and my werewolves would have fleas.” I know the feeling of having to write several chapters to get to know your characters OR to find out the entire plot. Write ON, KAY!!! Hi, Heather. Let’s see now, maybe we’d meet a werewolf slinking into Petco at midnight to buy the largest flea collar they sell. Hey, Robena. We all gotta write what we gotta write. I’ve tried dark and edgy, doesn’t work at all for me. Sally, I don’t even want to think about how long I’ve been “working” on the current WIP. But I love the little Scrivener target box that tells me my daily word count, since I’m often trying to do at least a set number of words a day. Kay, I SO wish I could write funny! I have a great sense of humor in person, but can’t seem to find it on the page. I, too, agree that readers are willing to take a lot of chances that publishers either can’t or won’t. I’m betting on readers falling in LOVE with your Jinn books! Me included! I’m coming to the conclusion, Leslie, that if I want to see them published, I’ll have to do it myself. I’m encouraged that so many of our friends seem to be happy on that path. I love your titles! Wish I could write funny or even come up with titles as good as yours! The series sounds like a lot of fun–can’t wait until they hit the streets so I can read them. Hi, Lark. The Jinn titles do seem to be memorable, considering how many people recognize my name because of them. I hope the series is as much fun to read as it is to write–when I buckle down and work on it. I too love your titles, Kay! If I think of any more gin/Jinn puns, I’ll let you know. I bought Scrivener a few months ago but haven’t taken the time to figure out how to use it. I think I’ve been a little intimidated. But you’ve inspired me to change that. 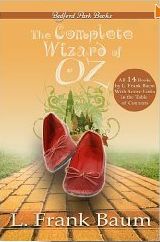 Gail, Hewson’s ebook (Writing a Novel with Scrivener will get you off to a streamlined start. Love, love, love Scrivener–Gail, check out Gwen Hernandez’s class & book (Scrivener for Dummies)–great ways to get started with it. Hadn’t thought to use it for organizing blog posts, but that’s BRILLIANT, and I’ll start that immediately. THANKS. I, too, LOVE the titles! What fun!! The descriptions are fascinating; I’m about to go check out the books! Thanks for visiting, Rowan. I wish I could offer you books, but right now they are only manuscripts. When I finish the third one (and make sure they are reasonably consistent–when I wrote Jinn & Tonic I didn’t realize I was starting a series!–I’m going to look seriously at indie publishing. You come up with the best titles, Kay. (From all the above comments I’m not the only one who thinks so.) The title alone makes me want to read them, then there’s your blurbs, the ones I’ve read on other blog posts. They make me laugh, and anything that makes me laugh, I want to read. Love your characters and your humor, Kay! You definitely “write funny.” After reading snippets of your Jinn novels, I absolutely can’t wait to read all of them! What an interesting post! I’d love to read your books. Let me know when you’re ready to publish. I’ll be first in line to buy! Thanks so much, Jerry. Believe me, when I have something published I’ll announce it very loudly. Your post cheered me up and I’m sure your books are waiting to take on that role in the world too. Would a vampire allergic to haemoglobin be forced to take the vegan option? Keep writing what you’re writing and I know we’ll hear a very LOUD announcement from you soon. Tomato juice, maybe? Thanks for stopping by, Natalie. I’ll be looking for your post next week!